Let's celebrate the release of Go 1.12. We will hold this event at Mercari Tokyo Office. We're looking forward to celebrating it with you. If you want to give a presentation, let @tenntenn or other organizers know it. The event reception would be located on LL floor of Roppoingi Hills Mori Tower. At the reception, you should get a sticker which is required to pass the security gate. Please prepare your reception number in advance of it. 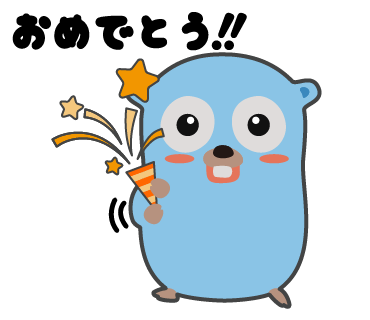 tenntenn published Go 1.12 Release Party in Tokyo w/ Fukuoka.go. I joined Go 1.12 Release Party in Tokyo w/ Fukuoka.go!